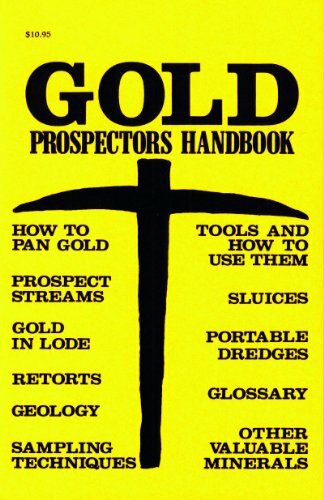 Placer mining, or simply panning for gold in rivers and streams, is the easiest, cheapest, and simplest way to get started. 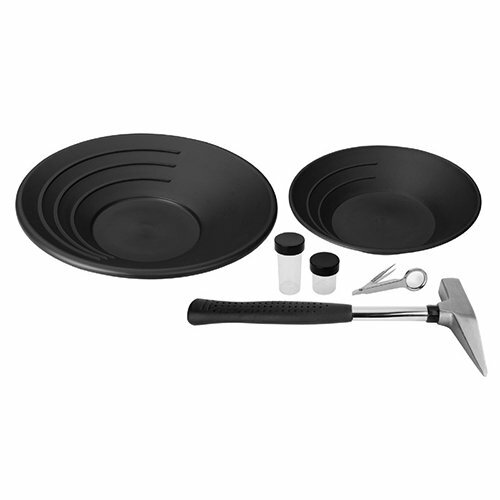 The equipment needed is minimal; sluice box, pan, shovel, a few 5 gallon buckets and you can start prospecting for gold. Placer mining is hard, backbreaking work since most of the placer deposits in California are gone. You also need a location on public land that produces gold which doesn’t have mining restrictions or is claimed – such as the Auburn State Recreation Area on the American River. At the Auburn State Recreation Area you can pan a penny weight (1/20th of an ounce) of gold a day. Another option, which may produce more gold for you is to find a piece of public land that produces gold and file a mining claim. See the Bureau of Land Management’s website for more information. Another option is to start a Lode Mine. A lode mine is your typical underground mine where you look for veins of gold. The majority of gold believed to be left in California is located underground in quartz. This option is by far the hardest to undertake, costing millions of dollars, years of research and permitting before you can even break ground – even then there is no guarantee it will be profitable. Your last option is to work for one of the gold mining operations already operating in California. With the price of gold skyrocketing and more and more people becoming interested in gold mining, competition for these jobs is high, since there is a limited number of mines operating. Making a living mining gold in California is possible, but you are not going to become rich from it. A penny weight of gold a day, which is possible from simple placer mining, is worth only about $60. Wages from working in the mining industry very, but remember you don't keep what you find, you are working for wages. Starting your own lode mine, where the majority of the California’s gold is located, is prohibitively expensive, unless you have a lot of knowledge and investors. The best option is to find or buy a placer claim which has been tested or has a history of producing gold. Unless your claim(s) can consistently produce 1 ounce a week ($1000 to $1800 a week), with minimal cost, its best to mine in California for recreation, or for a little extra money, not for your primary source of income.